Then we speak. Each of us has much to say. While others speak, we prepare to speak again. Are we hearing each other? Are we reaching a point of understanding or decision? Often our talk is overwhelming and more talking is not the answer. At times we need silence to communicate. Silence as a tool begins with self. Each of us has moments when we can not find the off button and we continue to talk, often repeating ourselves. Our point was made, but we continue. As with writing a blog, we should speak with a sense of “word count”. Our communication is best when tight, purposeful, and focused on engaging others in the conversation. Our silence allows others to speak and for us to listen and hear them. Indeed, let others speak. As leaders we focus on moving people forward into positive territory. Shared understanding paves that road and how can I assure we are together if I do not listen to others? My silence sets the stage for others to speak and for me to listen. If each of us will work to balance our speaking with our own silence, we will indeed hear more. 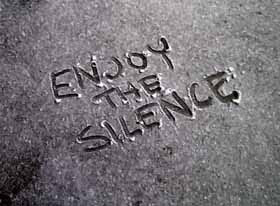 Silence as a tool goes beyond use at the personal level. 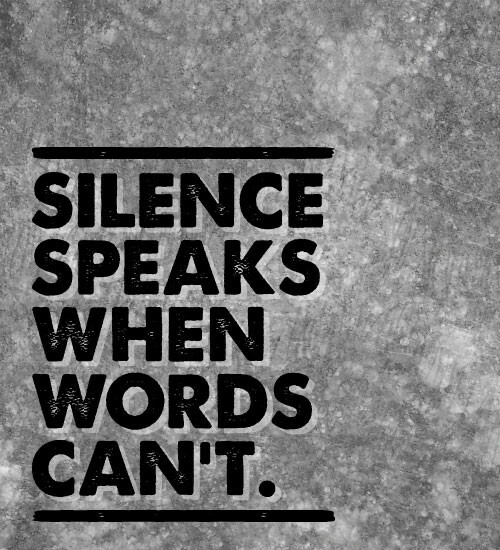 As leaders we can use silence directly with a group. To start, in a group setting, people will not allow silence to last. It is an old workshop facilitator trick … if you stop speaking and allow silence to linger, someone else will speak. It may take 30 seconds (feels like a lifetime), but someone will speak. Silence can also become a direct, out-in-the-open approach to communication. During a difficult discussion with a group, call for a period of silence. As researcher Charlotte Roberts states, “calling for a period of silence – not in frustration, but in anticipation”. A period of silent time can allow the group to tap into the “gathered mind”. People will begin to speak again and hopefully, after gathering their thoughts, the discussion will go in a positive direction. Silence is a means to center a group deep in discussion. When we sense the conversation is going in different directions and those dreaded side-conversations are beginning, we need to call for silence. In some cases this silent time can and should last minutes. The reflective time typically allows the participants to reach for the center and begin the discussion with renewed focus. Communication is often challenging. One may say that we mis-understand each other as often as we understand each other. Silence is a means to understanding. Use it well. Sweet – thanks for the comment. Yes, a favorite song for me too. I did think of adding “The Sound of Silence” as a reference in the post, but could not work it out. Thanks for adding it for me!